Want to have a HP bar above the heads of your combatants? You can place Combatant HUDs at the game object of a combatant. Combatant HUDs are used to display combatant information. By setting the Combatant Type of the HUD to Individual, the HUD will be displayed at the position of a combatant’s game object. Let’s set up a simple HP bar to be displayed above the heads of all combatants. First, we’ll need a new GUI box to display the HUD – open the ORK Framework editor, navigate to Menus > GUI Boxes, create a new GUI box and change the following settings. Set to X=0, Y=0, W=100, H=100. When placing a HUD at the position of a game object, the position X=0, Y=0 will be placed at the position of the object. Set to X=0, Y=0, Z=0, W=0. That’s it for the new GUI box. Time to set up the HUD – navigate to Menus > HUDs, create a new HUD and change the following settings. We’ll add an empty game object to the prefabs later – this child object will be used for placement. Enable Player, Ally and Enemy. Click on Add Status Element to add a HUD element. Finally, we’ll need to add a new child object to all prefabs of our combatants for the HUD to be placed at. If the game object isn’t found, the HUD will be placed at the game object’s position itself (i.e. usually at the feet). The procedure is the same for all prefabs. Drag the prefab in the scene (the prefabs can be found at Assets/Tutorial Resources/Prefabs/Combatants/). 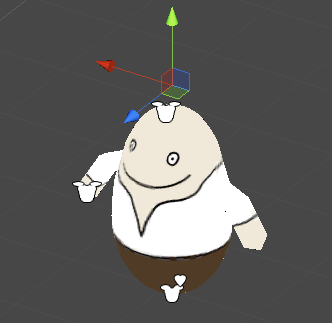 Rename the new game object to HUD and parent it on the prefab by dragging it on the prefab in the scene hierarchy. Change the position to X=0, Y=2.2, Z=0. Now, all combatants have a HUD bar above their heads. The HUD should only be displayed when the combatant’s HP aren’t full? Use a Status Requirement in the HUD’s Display Conditions to check for the HP being less than 100 %. 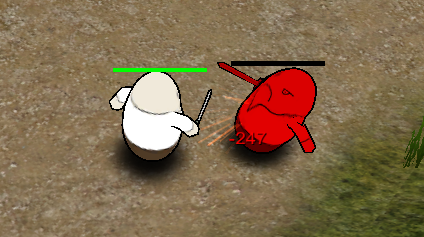 To only display the HUD for a short amount of time when the combatant received damage, you can use Status Effects. E.g. create a Damaged status effect that ends after a few seconds and is added by all abilities that deal damage. Check for that status effect in the Status Requirements of the HUD.